Back to the history of Novara, the next and final landmark to explore is the Castello Visconteo Sforzesco (Viscontis’ and Sforzas’ Castle). 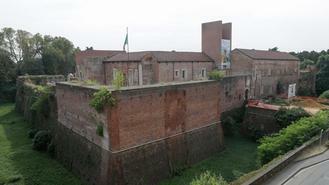 The castle was built in 1357 during the reign of Galeazzo Visconti, on the site of a 12-century stronghold. The most famous legend connected to the castle is that of the golden horse made by Leonardo Da Vinci. Apparently the horse was meant to be a present to the duke of Milan Ludovico il Moro. 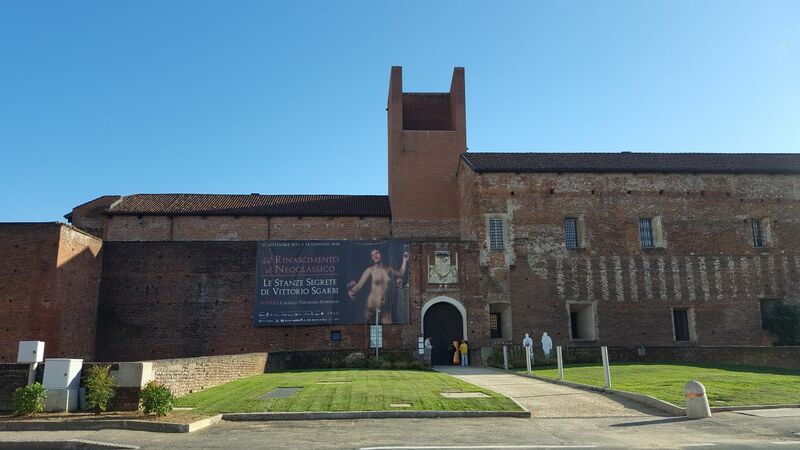 Unfortunately, and this is history, on 10th April 1500 the Duke was captured by the French and imprisoned in the Castle of Novara (see next story). He was kept there one week before they brought him to France. In the meantime the horse had disappeared. In the beginning it was probably hidden in the underground tunnels that connected the castle to other parts of the city and according to some tales even to the countryside towards Lombardy. The fact is that nobody was able to find it again. In 1910 a group of Spanish historians came to Novara; they had read about the golden horse in some old documents found in Madrid and were asking the Municipality of Novara for a special permission to star their research. It seems they offered 25 cents for each brick of the castle. The permission was not granted, and the legend goes on. The so-called Treason of Novara was an incident which took place in 1500. During a conflict between the French and the Sforzas, Louis XII of France had conquered the Duchy of Milan in 1499 with the help of Swiss mercenaries. 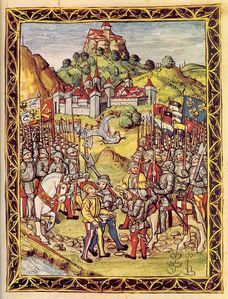 In the spring of 1500, Ludovico Sforza in his turn hired Swiss mercenaries to re-conquer the duchy. The two enemies confronted one another at Novara. About 6,000 Swiss under the command of Sforza defended the city, while about 10,000 Swiss under the command of Louis laid siege to it. The Swiss Confederation called for negotiations between the two sides in an attempt to prevent the worst case of Swiss soldiers being forced to slaughter one another, "brothers against brothers and fathers against sons". Louis XII of France agreed to grant free passage to the Swiss abandoning the city, but only under the condition that Ludovico Sforza would be surrendered. The Swiss on Sforza's side accepted, but under an oath of loyalty to their employer, made Ludovico Sforza wear the Swiss uniform and smuggled him out of town. This happened on 10th April 1500: the Swiss were leaving the city passing between two wings of French troop; French officers were posted to oversee their exit. As the disguised Ludovico Sforza passed by, one mercenary named Hans (or Rudi) Turman of Urimade made signs so that the French identified and captured him. Duke Sforza was made prisoner by the French and died eight years later, incarcerated in the castle of Loches, in central France. The French rewarded Turmann for his treason with 200 gold crowns (corresponding to five years' salary of a mercenary). He escaped to France, but after three years (or, according to some sources, after one year) he returned home to Uri. He was immediately arrested for treason, and on the following day he was executed by decapitation. During WW2 the Fascist Black Brigades used the castle to imprison and torture their political enemies, partisans, and Jews, before their execution and/or deportation. At the end of July 1943 Mussolini had lost his power. All people connected to him tried to run away and save themselves. 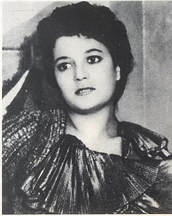 On 12th August 1943 Claretta Petacci, Mussolini’s mistress, was arrested with her family while in Meina (on Lake Maggiore) and taken to the castle in Novara. She was kept prisoner there until September 17th. Then she could join Mussolini (who by then was back in power in the so-called Salò Republic) on the Garda Lake and stayed with him until the very end. They were killed together on 28th April 1945 in a small village on the Como Lake, two days before Adolf's Hitler's suicide. The bodies of Mussolini and Petacci were taken to Milan and were hung upside down in Piazzale Loreto, where a large angry crowd insulted and physically abused them. Now it’s time to go back to the BROLETTO, where the tour began.